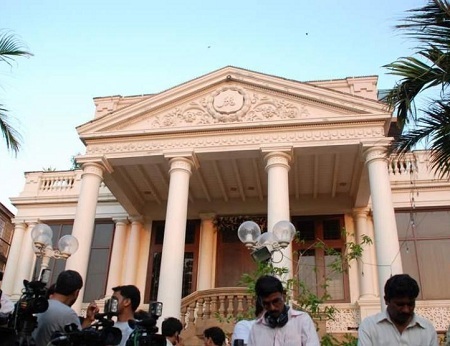 Picture of Shahrukh Khan’s bungalow “Mannat”. This heritage bungalow has large, imposing columns. SRK’s bungalow is located at Bandstand in Bandra, Mumbai. Please visit this page for more images of Shah Rukh Khan’s House, “Mannat”.